Once again I have decided to put on the historical pages of this site information that will enhance the knowledge of our people . At the Bermudian Heritage Museum we display several sports personalities and information about sports in Bermuda. Here is one such item we have on display there with pictures. How well do you know the story about the difficulty of black Bermudians to get onto a golf course in the early years to play the sport of golf. Golf is known as an elite sport and Bermudian golfers who had the desire to play could not darken the doors of a golf club anywhere, and dare not even attempt to play a round of golf in the broad daylight hours on any course. They were only allowed to perform the duties of being caddies. 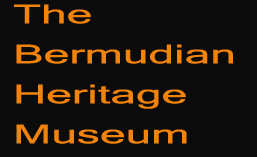 Bermuda was notoriously segregated until the Theatre Boycott in 1959. Such was the discrimination regarding golf clubs that they would get up at daybreak and play a round of golf until 9: 00 am before the regular guest started their day. They were only allowed to play to the 17th. hole as the 18th. would put them to close to the front door. Jews and Portuguese who were gardeners and menial workers were also discriminated against and were not allowed to play or darken the doors or the golf course just like Blacks. 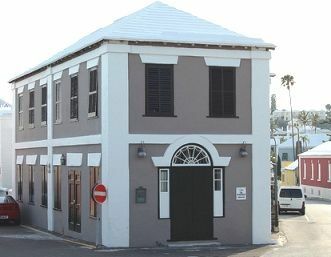 By 1949 black golfers applied to lease the links at Prospect Garrison and were successful however they had competition for this course as the Portuguese also made a bid for the lease and after having two wooden structures burnt to the ground they built a stone structure which placed them forever on the Bermuda Map.